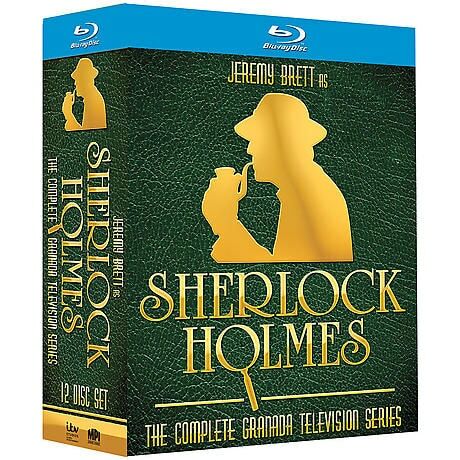 From 1984-94, Jeremy Brett was the definitive interpreter of Sir Arthur Conan Doyle's great detective. 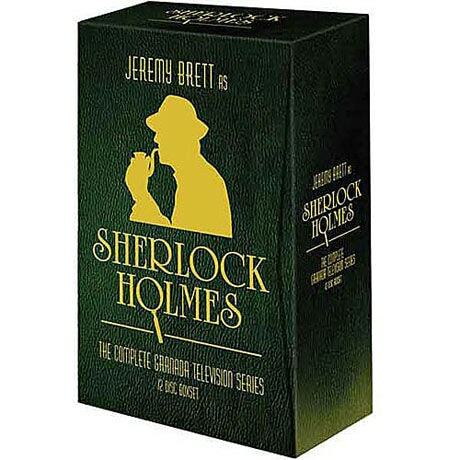 This set includes the complete British TV series--all 36 episodes and 5 feature films--in new transfers from the original negatives, plus many special features: commentaries with director John Madden and screenwriter Jeremy Paul, interviews with Edward Hardwicke and Adrian Conan Doyle, an episode of Daytime Live with Brett and Hardwicke, and more. 43 hours on 12 DVDs. The Adventures of Sherlock Holmes, The Return of Sherlock Holmes, The Casebook of Sherlock Holmes, The Memoirs of Sherlock Holmes, The Sherlock Holmes Feature Film Collection. 43 hours on 12 DVD or Blu-ray discs.